Phi-Unet works as a connector of talents in order to create cross-functional team working on real industrial and societal challenges. 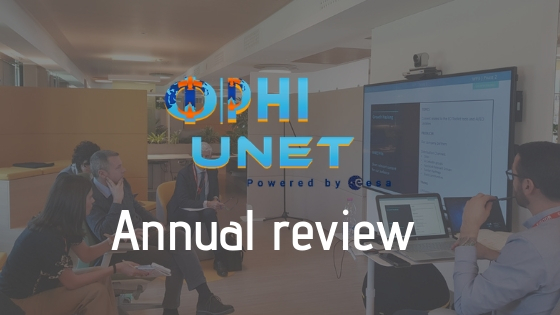 Phi-Unet is a university network powered by ESA which aims to connect Earth Observation and Artificial Intelligence talents with each other and with big industries through the organization of AI4EO challenges. The project started a year ago, here we are. Up to date about 14 Universities across all Europe are already part of the project. They are actively involved in the content creation of the network websites and online tools (http://phi-unet.com). The AI4EO Toolkit (http://phi-unet.com/eotoolkit/) is an open source platform where students can find all the relevant AI/EO resources connected to the project, such as EO Training and Useful Links, Technical and Business Material, AI/EO News, AI/EO events, AI/EO Internship and Scholarship projects, AI/EO support. The coming months will see the creation of multiple challenges to tackle socio-ecological and energetic issues while fostering the use of Machine Learning and Artificial Intelligence in Earth Observation. This dynamic will be sustained by the consolidation of the Phi-Unet community by establishing partnership with software developers, Artificial Intelligence software firms working on Machine Learning, Deep Learning and regular Artificial Intelligence projects in order to provide their members with more data, tools and assistance. The first challenge responds to a humanitarian and environmental need from UNOSAT (UNITAR’s Operational Satellite Applications Programme of the United Nations). He focuses on creating and generating building footprints using Artificial Intelligence / Machine Learning. The team published tailored press notes in order to present the project to investors, challenge proposal companies, partner companies and universities. The project will be presented to different AI/TECH/EO Events (Space Tech Expo in Berlin; the London Tech Week; and the Phi-Week at ESA/ESRIN). Finally, the objective is to create synergies between students, professors, companies, Earth Observation and Artificial Intelligence passionate within a Digital Campus to foster innovation by leveraging the use of Earth Observation with Artificial Intelligence technology.